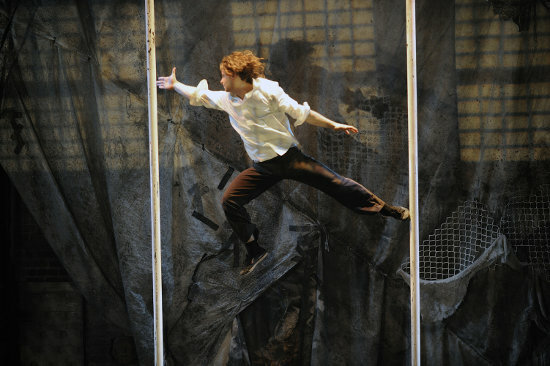 Set possibly in a nuclear bunker and mixing traditional disciplines (loop aerial, breakdance-styled Chinese Pole, and amazing hoop diving) with such intricately choreographed rough-and-tumble as a dextrous game of keep-away using an ordinary basketball, Traces grounds its skills by putting them alongside the prosaic detail of the artists’ lives. It’s showing off and at the same time playing it all down. Suitable for pretty much every audience, but especially an effective weapon in turning the opinion of any circus-phobe. * No performances 4, 11, 18 October.